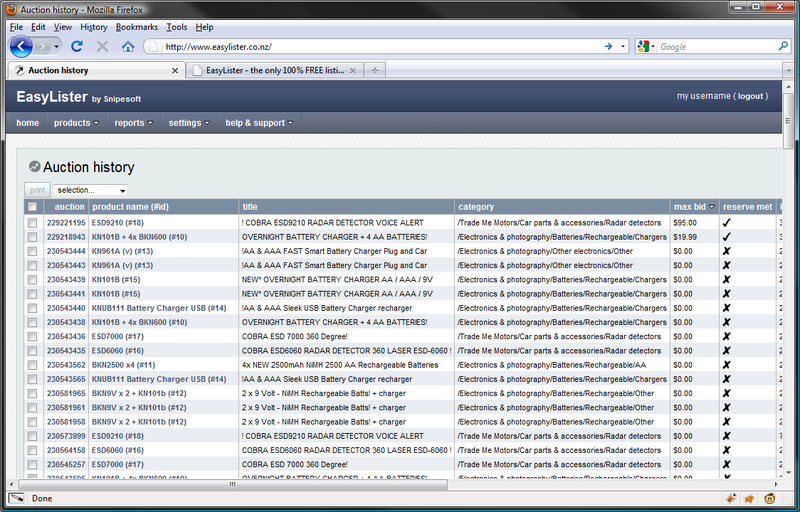 Take a peek below for pictures of EasyLister in action. Click on an image to see a bigger version. 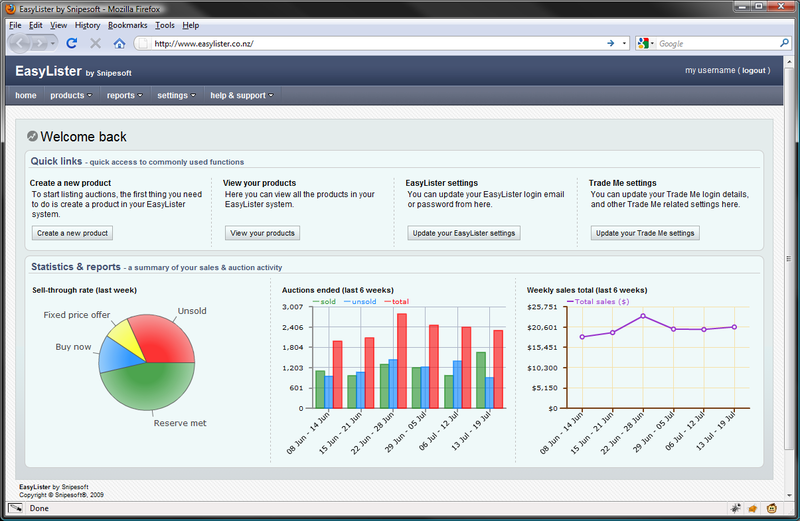 EasyLister contains an easy-to-use dashboard when you first log in to help you get where you want to go. 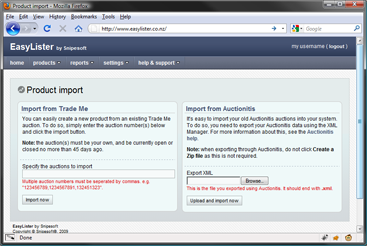 Containing quick links to commonly used features, and advanced graphs on your Trade Me activity helps you see at a glance how things are going. 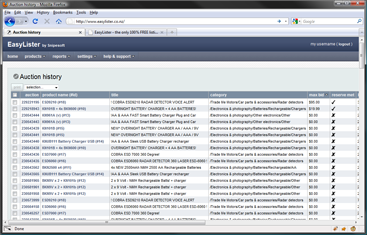 EasyLister makes it easy to manage, search, filter and view all of your products from a single handy location. Not only can you view all of your products, but you can search amongst them or filter them down. You can also update the details on multiple products at once! 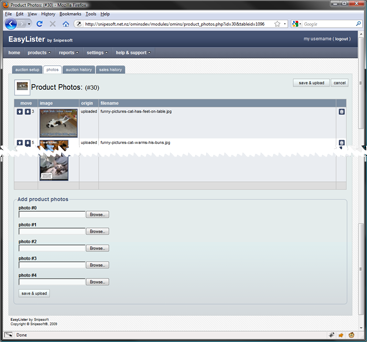 EasyLister helps you keep track on what your auctions and products are doing. 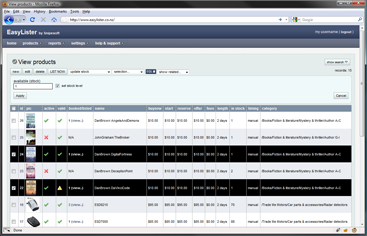 It provides powerful, up-to-date reporting on all of your products, auctions and sales. Thankfully, with EasyLister, you don't have to! 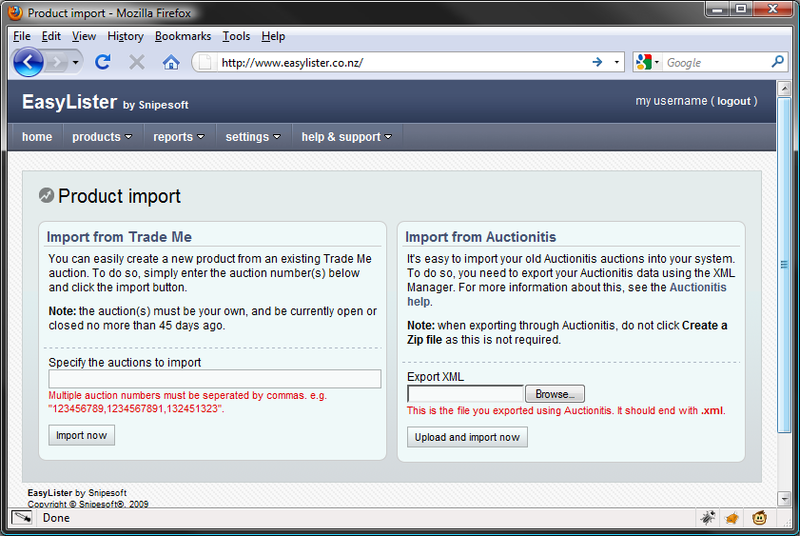 EasyLister supports importing your auctions from Trade Me directly with the click of a button. If you're upgrading from old-fashioned, paid-for software such as Auctionitis, you can also import your old auction setups directly into EasyLister. 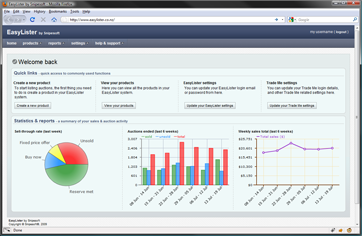 We want creating products in EasyLister to be as quick and simple as possible, so we add time-saving features wherever possible. 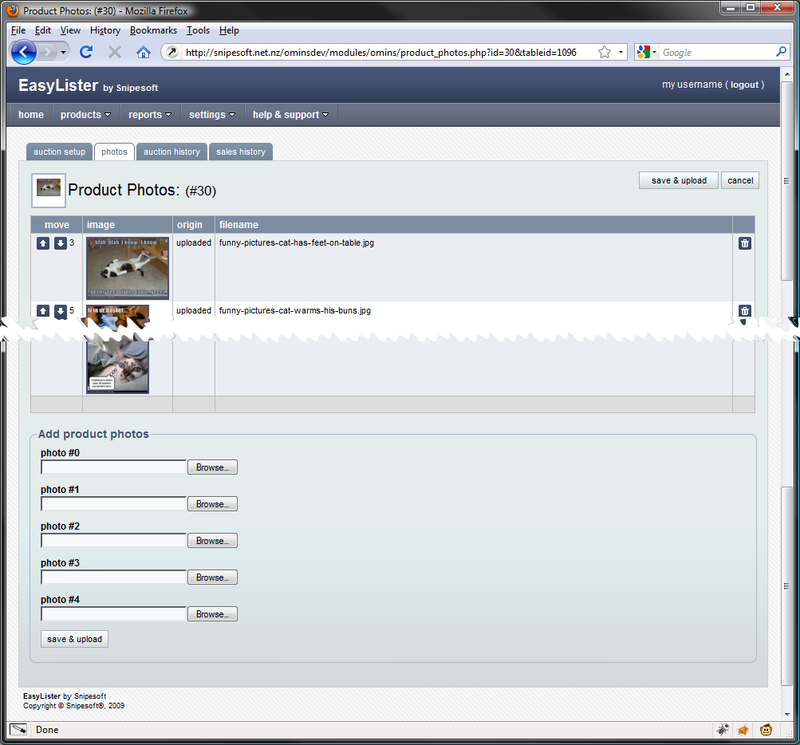 One such feature is the ability to upload up to 5 photos at once onto your product.